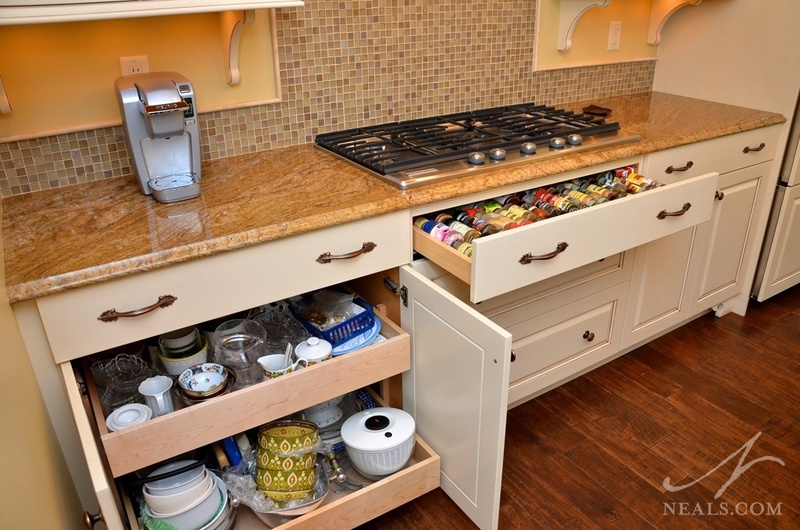 Pantries are in high demand when people remodel. 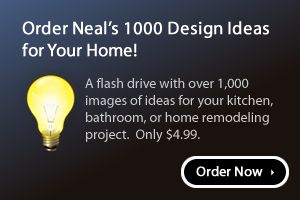 It’s great to have a designated area for dry, canned and jarred food storage. 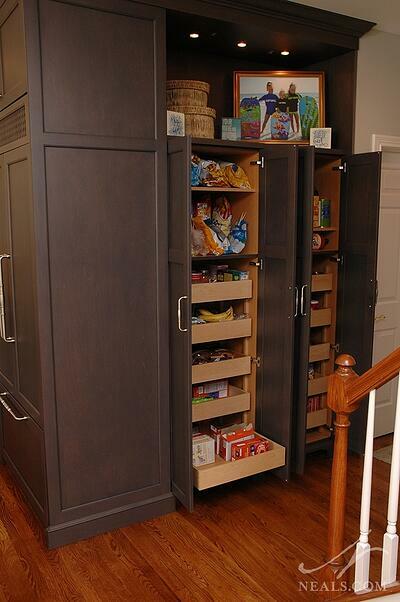 Chef’s pantries are multi-layered narrow shelf units that swing out and allow you to organize content efficiently. 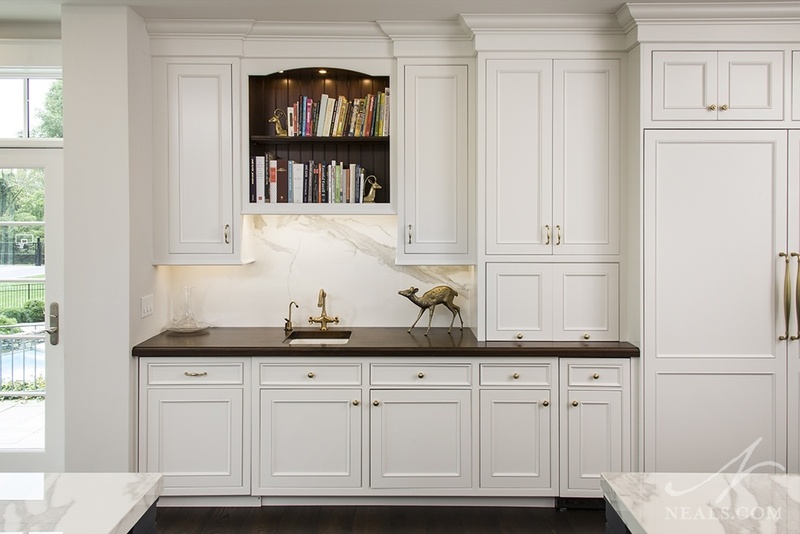 Wall cabinet pantries include both interior shelving and a shelf on the door. 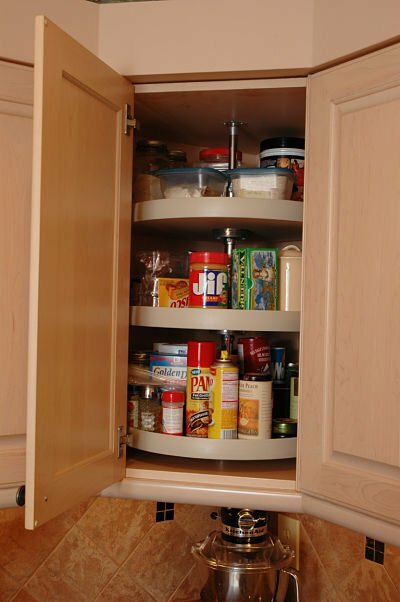 Full height pullout pantries can be located near appliances for both food and cookware storage. 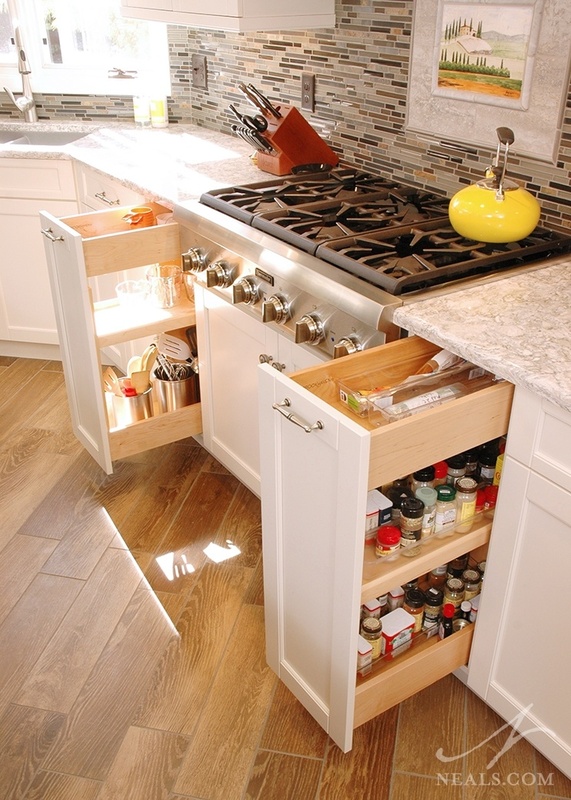 Pullout pantry drawers in a Loveland kitchen. Pullout base cabinet in an Anderson Township kitchen. Storing spice bottles and containers, vinegar, oils and bottled flavorings is essential. 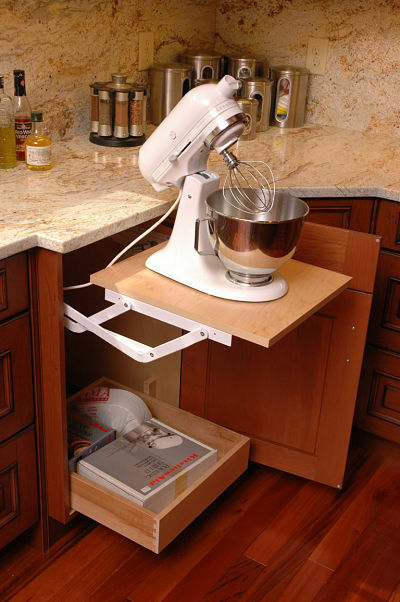 A narrow cabinet with pullout storage for spices can be placed near a stove or on an island to enable a cook to conveniently use and view these items. Pullout base cabinet and a spice drawer in an Indian Hill kitchen. Mixer storage in an Indian Hill kitchen. Corner cabinet with a carousel in a Wyoming kitchen. Corner turnout shelves in a Mason kitchen. 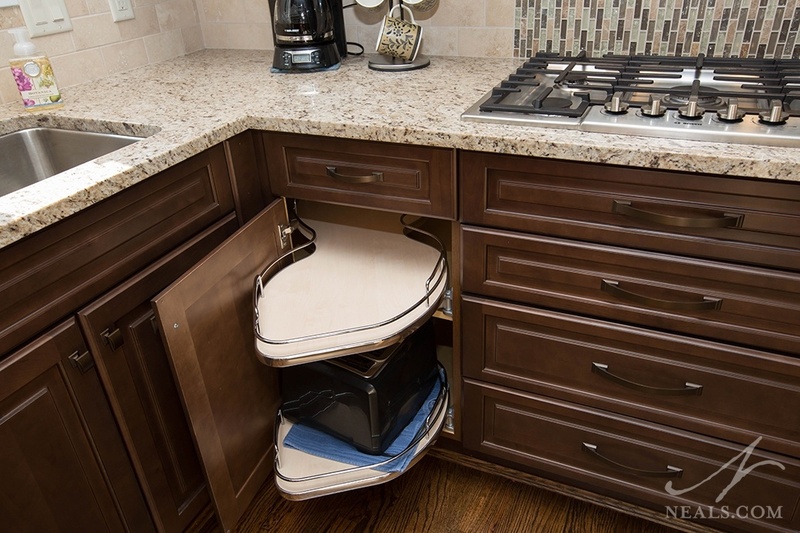 Pullout towel storage in an Indian Hill kitchen. 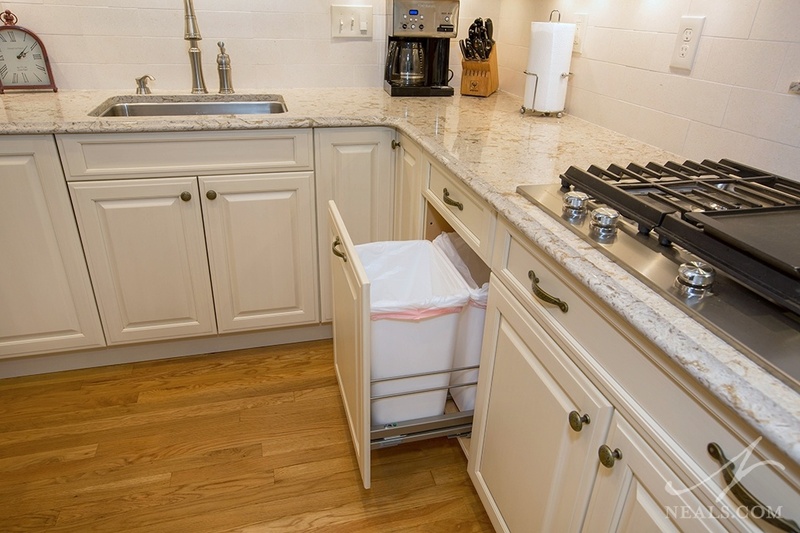 Waste basket rollout in a Villa Hills kitchen. 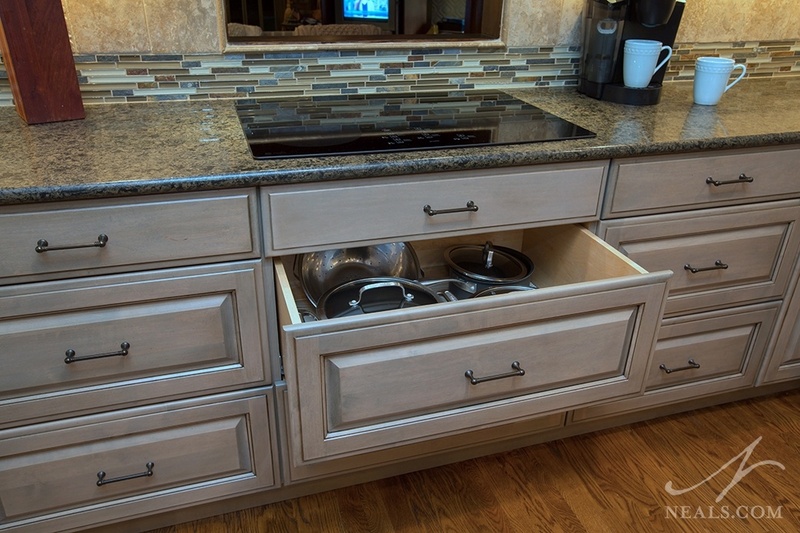 Deep drawers for pots and pans in a Montgomery kitchen. Functional kitchen design also incorporates open storage for items like wine, plates, platters, cookbooks, etc.. 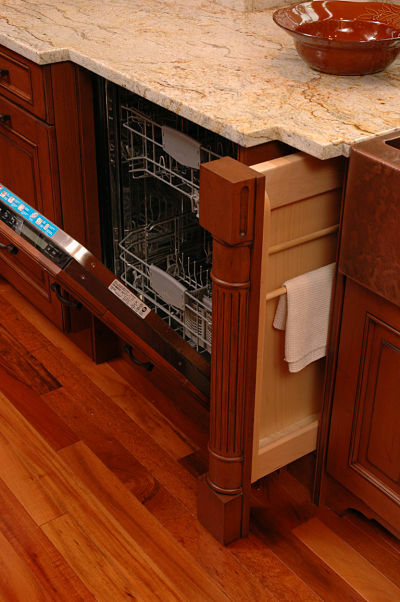 These are items cooks like to keep within reach for convenience and cabinetmakers have include slats, racks and baskets within their lines. Open shelving for cookbooks in an Indian Hill kitchen.